Located at "The Junction" in Wimberley, Texas, upstairs in the new Black Forest restaurant, at the intersection of RR 12 and FM 32. Wimberley is between Austin and San Antonio, in the beautiful Hill Country of Central Texas. 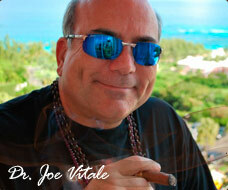 The Vitale Cigar room was created by Bruce Collie, former NFL superstar football player, for his friend Joe Vitale, star of The Secret and author of such books as Attract Money Now and Zero Limits. Open whenever The Black Forest restaurant is, usually every day except Wednesday. Black Forest phone is 512-847-3113.Watch the grand opening of the Vitale Cigar Room below.